Thanks to the Crawford Fund in Tasmania, University of Tasmania student Olivia Woodiwiss travelled to Vietnam on a research trip to investigate options to increase the supply of local beef products in Vietnam. Vietnam’s beef consumption has increased dramatically over the last decade, with 1.613 tonnes being consumed in 2000, to 9.917 tonnes recorded in 2016. Although this trend is positive, Vietnam’s local producers have not been able to keep up with the demand. In recent years, Vietnam’s poverty rate has fallen from 60% in the 1990s, to just over 20% in 2010 – yet there are still significant issues with poorer communities struggling to generate a considerable income from agriculture. There are concerns that cropping in the North-Western parts of Vietnam are unsustainable due to substantial nutrient requirements and difficult terrain. 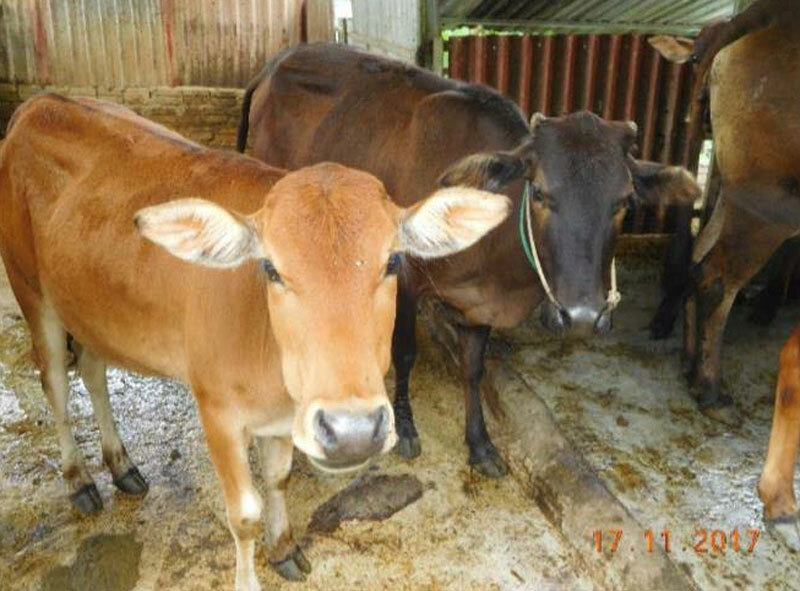 ACIAR are addressing this issue with projects that aim to increase beef cattle production in highland areas of North-West Vietnam, to reduce the reliance on crop production. The project aims to do this through training, knowledge sharing and introducing practices used in the developed world. Olivia’s research taps into this ongoing work by assessing current practices, and identifying ways in which small business can meet the demand through more efficient preservation methods. The main factors for low supply rates of local beef-products is simply the lack of refrigeration in remote parts of Vietnam’s North West. Transportation of meat products from farm to market results in a high spoilage rate, making long distance trading impossible. Olivia’s research found that, to counter this, smallholder farmers slaughter beef in the early hours of the morning, and then sell their meat at local wet markets throughout the day. 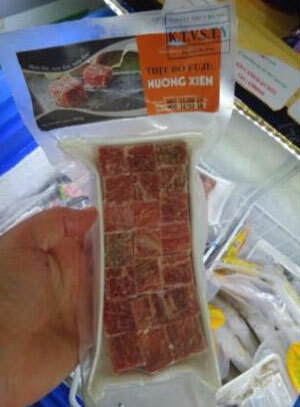 Any remaining meat is then sold to local restaurants at cheaper prices. This localised practise, however, is unable to meet national wide demand. The lack of infrastructure and facilities for extending the shelf life of meat-products has resulted in some businesses opting to dehydrate their product. However, this alone will not solve the problem of undersupply and new technologies, like using a cryovac, must be investigated to meet the demand of fresh beef products. Olivia worked closely with Truc Duyen, a small dried-meat business, to complete a cost and benefits analysis of their current business model and to evaluate the viability of investing in cryovac technology to increase the life-span of fresh products. The extended shelf life of cryovac sealed fresh meat and dehydrated-meat will enable small business owners like Truc Duyen to expand into markets further afield, and reduce the risk of product loss due to spoilage. With the increased capacity of small businesses to purchase local beef, smallholder farmers will see the value of their beef increase in the region. Additionally, Olivia suggests that small businesses, like Truc Duyen, must adapt marketing strategies like establishing a brand and social media to increase awareness of their product beyond the local community. Olivia’s trip to Vietman is part of our efforts to support and encourage young Australians in study, careers and volunteering in international agricultural research, our International Agricultural Student Awards from Crawford Fund State Committees will be supporting 14 Australian tertiary students to gain international agricultural research experience and expertise.